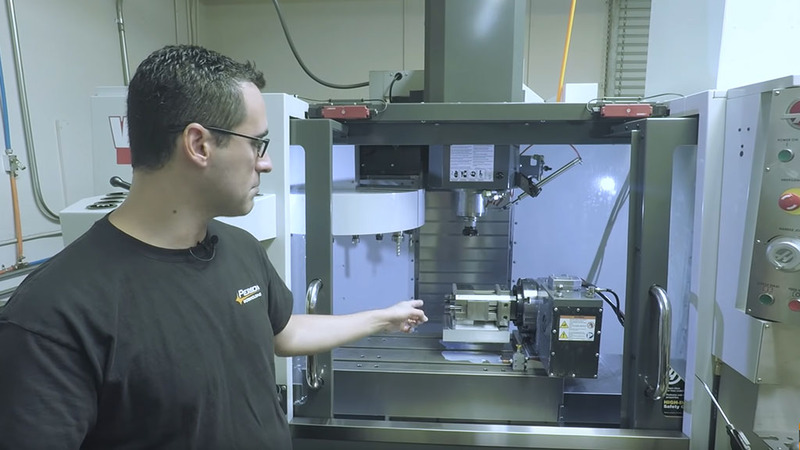 The RotoVise adds an incredible production boost to 4th axis machining. 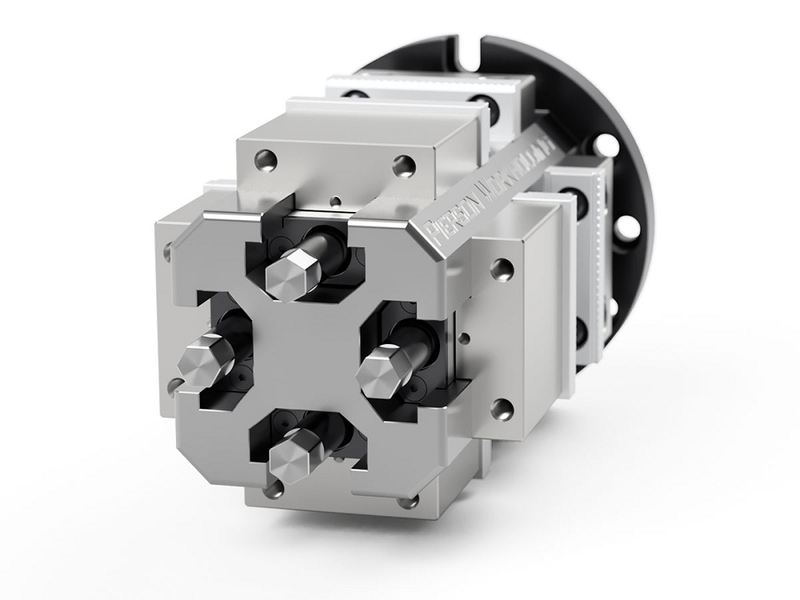 It is a simple and affordable way to get 12x production gains over traditional vise workholding. 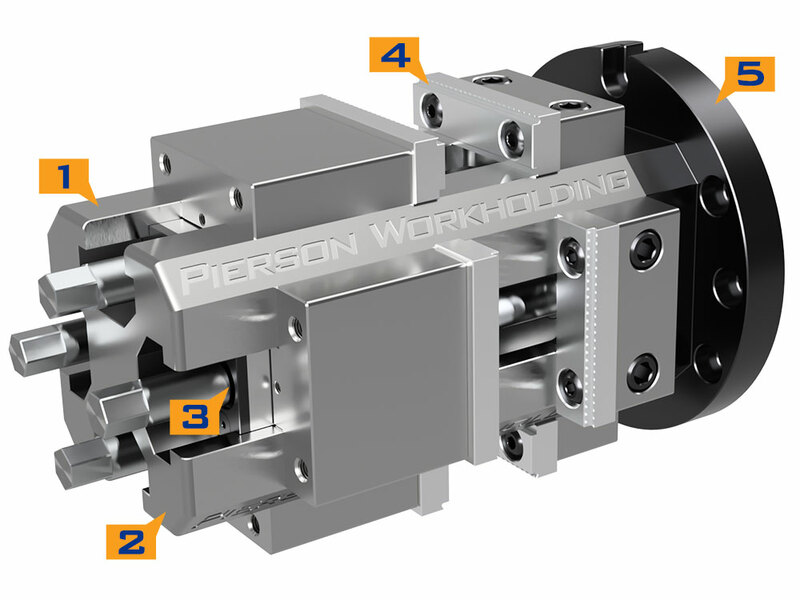 It simply bolts to common rotary tables and the compact design does NOT require a cumbersome tailstock. Get the most versatility from the RotoVise with our jaws and pallets. 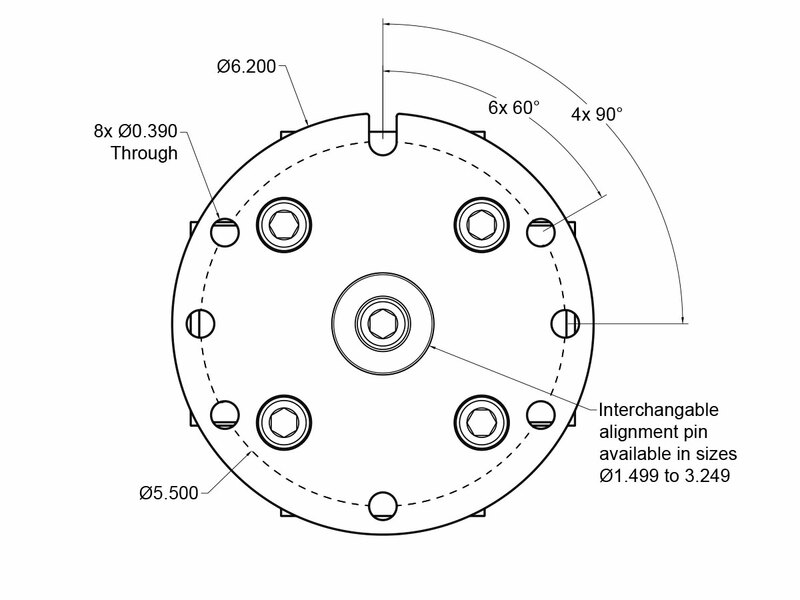 Every RotoVise comes with your choice of guide pin, but swapping pins allows you to bolt the RotoVise to differently sized rotary tables in your company. 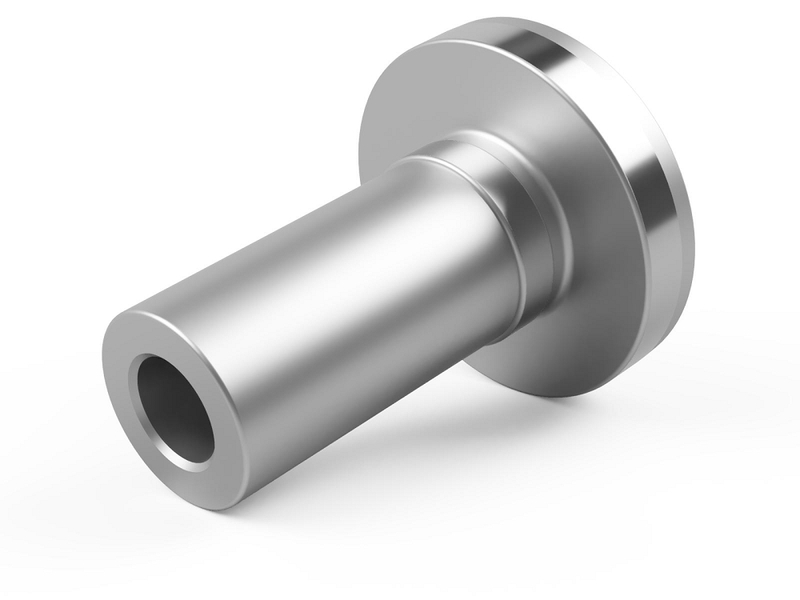 These pins have diameters that are .001″ smaller than most common bores for generous clearance andeasy installation. 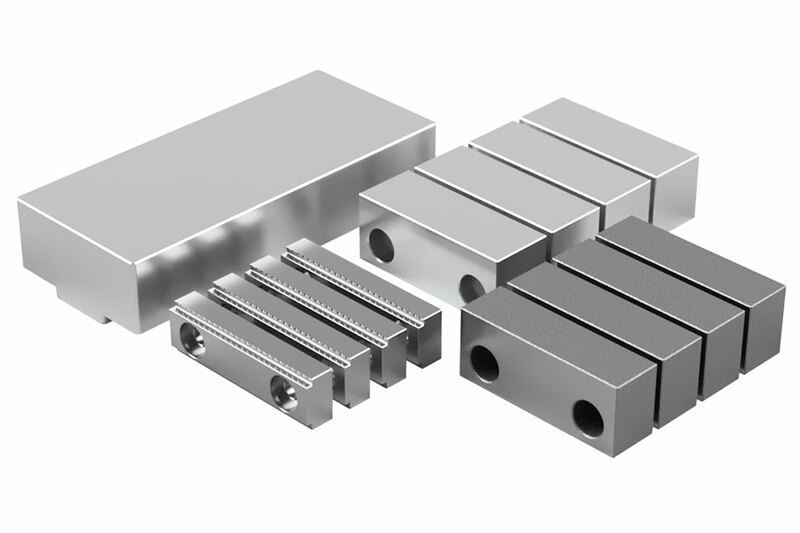 We stock guide pins that range from 1.499″ to 2.499″ and 59.97mm to 64.97mm. Visit our store to find all our stock sizes. Custom pins are available as well. 1. Do I need a tailstock? 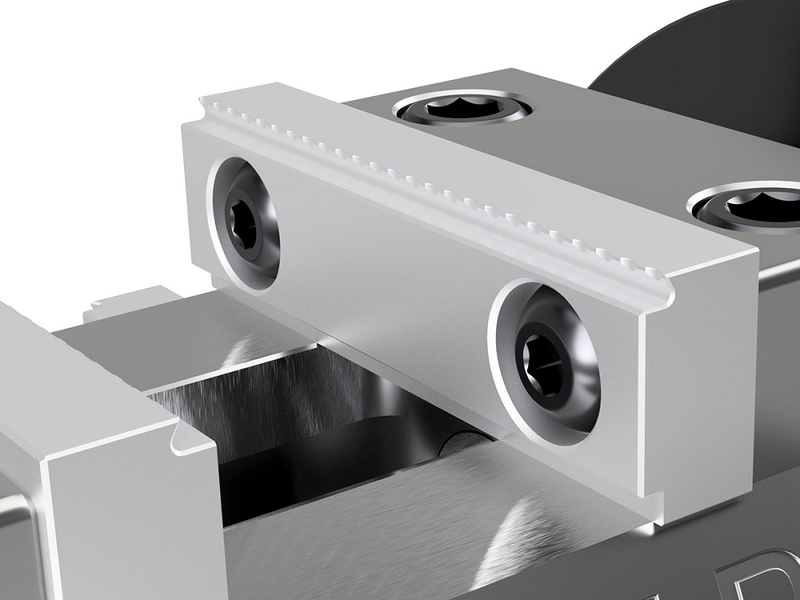 Simply put, a tailstock is NOT needed. Because of the compact length, rigid materials and parts held closely to the rotary table face, tailstocks have no effect on performance. We've rigorously tested the RotoVise for over two years and have cut aluminum, steel, stainless, cast iron and hardened alloys with excellent results and surface finishes at aggressive feed rates (250-600 ipm depending on material) without the need for a tailstock. 2. What materials can I machine? As previously mentioned, we've machined aluminum, steel, stainless, cast iron and hardened steels during the two year development of the RotoVise. In fact, most components of the RotoVise are made on the RotoVise! For comparison, we machine the ductile cast iron sliding jaw carriers at 300 ipm, .750" doc and .050" woc with a 4 flute 1/2 inch diameter carbide endmill with amazing results. 3. What types of rotary tables can it adapt to? The RotoVise is designed to bolt to all brands of rotary tables that use 4 or 6 t-slots platters. For best results, only use rotary tables that have integrated pneumatic brakes that provide a minimum of 100 ft-lbs (136 Nm) of brake torque. Manual rotary tables also work well as long as they have a manual brake. 4. 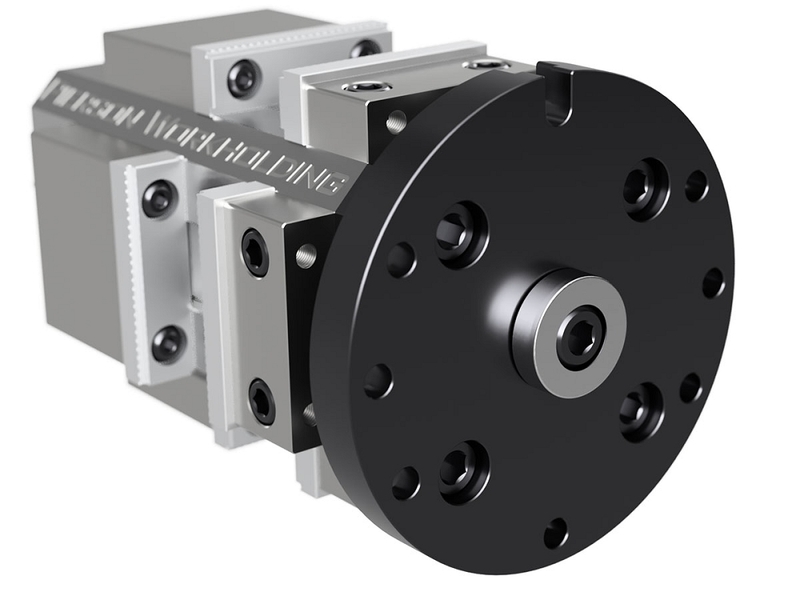 What is the clamping force of the RotoVise? Each jaw station grips with up to 5,000 lbs of clamping force. Let's think about this... a good conventional 6 inch vise clamps with about 8,000 lbs. 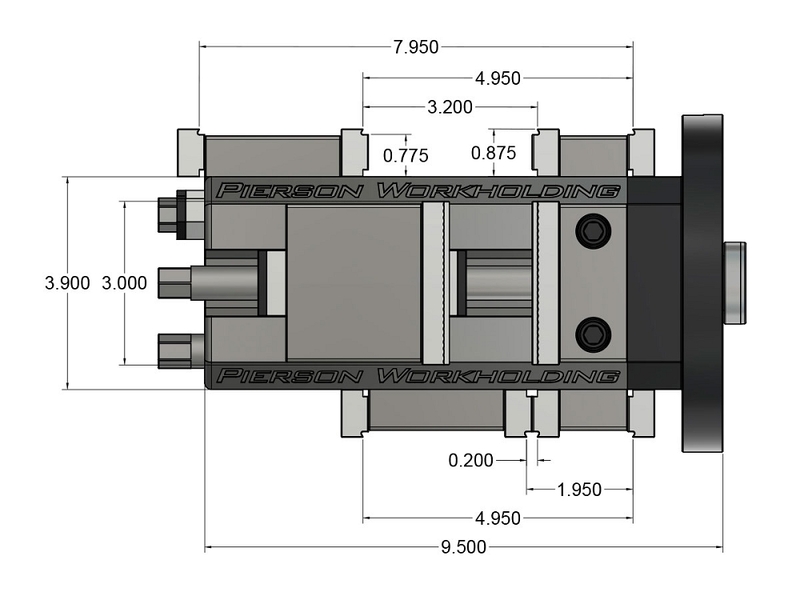 With only 3 inch wide jaws, the RotoVise has an equivalent clamping force of over 10,000 lbs compared to 6 inch vises. 5. Where can I purchase a RotoVise?